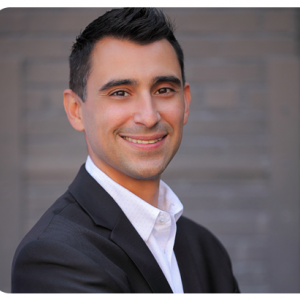 Ramiro Braga | When is the right time to sell your house - for you? If the red-hotness of Toronto’s real estate market has gotten your attention, you may be looking at your four walls and think it's time for an upgrade. All the hype might have you thinking this is a great time to cash in and capitalize on the equity in your home. But before you jump on the bandwagon, or if you are starting to feel nervous that if you don't sell now you'll miss your chance, make sure you're actually ready to sell, and that now is a good time for you and your family to make a move. If you’re thinking about selling, then you already own a home, and you most likely have a mortgage. But if you don’t know your mortgage maturity date, or what a discharge fee is, then it’s time to do your research. Unless you are within a few months of your mortgage maturity date (the end of your contract with your bank) then you are most likely going to be responsible for paying a penalty for breaking your mortgage early. Depending on how close you are to your maturity date, your mortgage amount and your interest rate, this could be several thousand dollars or more. While a hot-selling market means that you might be able to absorb whatever costs are involved with breaking your mortgage, call your bank to find out what the real costs are to sell your house now. 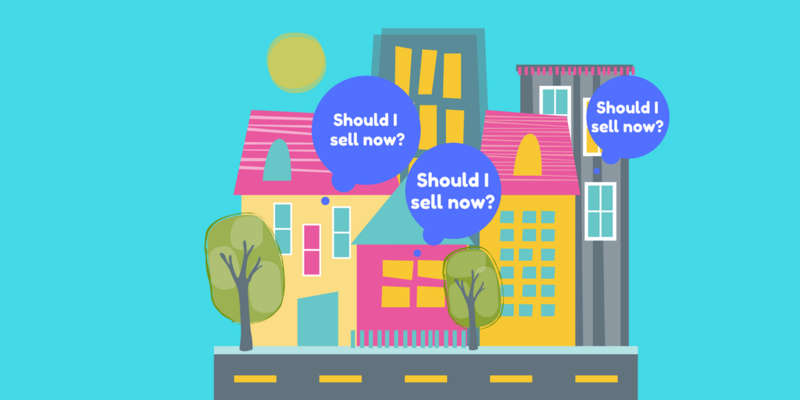 Knowing these numbers could help you decide whether it’s worth it to sell now, or wait so that you can put those few thousand dollars in your pocket instead of your bank’s. The thing about a hot real-estate market is that while it’s ideal to get a high price on your current home, that means you’ll also be spending a pretty penny on a new home as well. Unless your move is about relocating to another, less-costly area, all that money you think you’ll make selling the house you’re in won’t mean much if you can’t afford the new dream house you’re looking for. Of course, this situation won’t matter much if you’re looking to downsize, so if you’re thinking of moving to smaller home, or from a free-hold home into a condo, then you are in a great position. But if you’re trying to move your way up the real estate ladder while staying in a high-demand area, keep in mind that any gains made in selling your house will be thrown back into another one that may actually raise your monthly expenses. Knowing where you are headed will prevent you from getting too excited with a big sell-price, only to feel stuck when looking for your next home. Back to the money. Besides your mortgage, there are a lot of other costs to consider when deciding or prepping to sell your home. When selling your home, you need to include commissions to the buying and selling agents (give or take 5%) that are involved in selling your house, the lawyer’s fee to complete the paperwork, as well as any costs involved in prepping your home to sell, like house repairs, cleaning and staging. Moving is also not cheap, and if you hire a mover and buy supplies to get you from your current house to your new home, you need to include those costs as well. Budgeting for these items ahead of listing will help you understand the real costs of moving, and help you make a more informed decision. Take a short moment and think about if you have the time to sell. We all have busy lives, so before you sign yourself up for more than you can handle, let’s consider what kind of time commitment is involved in prepping your house to sell. Most agents will tell you that one of the best things you can do is purge, purge, purge your home of unessential items, as well as highly personal items, to make your home more attractive to buyers who want to see themselves living your space, not you. So packing up those beach pics of you and your husband, or those adorable construction paper art pieces from your three-year-old, is a task you’re going to have to make time for. Include in this scheduling time to thoroughly clean your home, possibly arrange for a stager to come in and beautify your space, and you have a pretty big project on your hands. While you can pay to have some of these tasks completed, don’t forget you’ll have to make your space available for showings, which means you’ll need to be out of your home waiting idly for a buyer to look around. Selling your home requires a significant time commitment, so make sure you are ready for the time demands so that you can list and be prepared. All this rests on the idea that your current home is in a high demand area, and that you’re going to cash in no matter what. But will you, really? 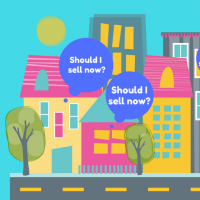 Knowing the market not only in your city, but in your community, or even right on your street, might have a big impact on whether you decide to sell. While you might think your house is nicer than your neighbours, or that your backyard is bigger and more kid-friendly, having a recent and realistic market analysis can help you understand what your home is actually worth, and can make, or break, your expectations about how much your home can actually sell for. Speaking to your realtor even when you’re thinking of selling can help make sure you are knowledgeable and prepared to sell your home, when it’s right for you, so that you can enjoy that big cheque when it finally arrives.